¡ VIVA MEXICO ! September 15th is the day of independence, the national holiday of Mexico! To provide you with some history, on the morning of September 16, 1810, Miguel Hidalgo y Costilla, parish priest of Dolores, at the Mass, decided to invite the parishioners to take up arms against the Spanish government. They decided to form a group and go to Mexico City to rally the indigenous peoples and be united behind the banner of the Virgin of Guadalupe that was already adored. The first battle that they won was held in Guanajuato with a group of 30,000 people defending the cause. After many battles won by private citizens, Hidalgo encouraged in Guadalajara the abolition of slavery and the removal of excessive taxes on native populations. The fight ended 21 years later when Vicente Guerrero who was the leader of the rebel army formed the first government that was independent from Spain. « Mexicanos: ¡Viva nuestra independencia! and then the crowd responds: ¡VIVAAAA! ¡Viva Hidalgo! (Long Live Hidalgo) ¡VIVA ! 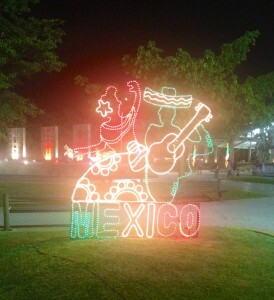 ¡Viva Morelos! (Long Live Morelos) ¡VIVA! ¡Vivan los héroes que nos dieron patria! (Long live the heroes that gave us our homeland!) ¡VIVA! ¡Viva nuestra libertad! (Long live our freedom!) ¡VIVA! At 11 a.m. in everyMexican city, mayors from the balcony of the town hall say the same speech, and shout the famous Grito !! In the capital, the president makes the speech as Hidalgo did in Dolores in 1810, when he made his independence speech. 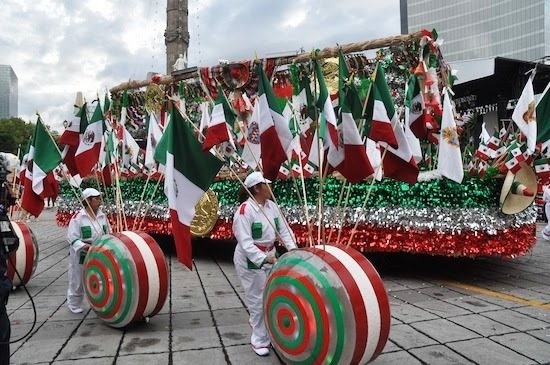 Go therefore to the Zocalo (central square) of each city to celebrate one of the most important events in Mexican history! !